Enter a world of dragons, destiny and epic adventure to fulfill the dragon-rider legacy. The major motion picture from 20th Century Fox in theatres everywhere December 2006. Live the Adventure. 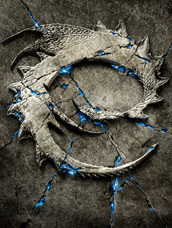 Experience the authentic Eragon universe in the official game of the 20th Century Fox Film. Fulfill your destiny as a Rider. With your dragon ally, experience breathless dragon flight and unleash devastating dragon summon attacks. Your foes will crumble under the weight of your thunderous magic attacks, powerful melee combos and ruinous finishing moves. Unlikely allies will aid you. A second player can join at any time for true drop-in co-op play with special team attack bonuses. Warum es explizit ein Spiel zum Film und kein Spiel zum Buch wird verstehe ich zwar nicht ganz, aber wahrscheinlich sparen sich die Spieleentwickler dann einfach die vielen Ideen… Da das Spiel aber von den Machern von Herr der Ringe: Die zwei Türme gemacht wurde (Aussage Gamestar.de), habe ich gute Hoffnungen, das sah ja auch ganz nett aus.